COMPANY HISTORY – Fazekas Kft. Our company was started as a one-person private company in 1956. We dealt with the solution of smaller mechanical problems like repairing devices, bicycles, and cars. In the 1980 we turned to the manufacturing of components, the repairing of industrial machines and equipment. In the 90’s, due to the almost complete termination of the public service, our activity turned to the manufacturing companies. In 1998, we transformed the company into a Limited partnership. With our new customers, our activities also expanded continuously: With the design and three dimensional elaboration of tools and special purpose machines. The new activities and the growing demands required the modernization of the machine stock. The company has made and important qualitative step forward, and the number of products issued has grown significantly, too. We have been operating the quality management system corresponding to ISO 9001 since 2003. From January, 2010, the previous Limited partnership has been operated as Limited liability company. In the same year we managed to start our activities even on a new site. In addition to Mosonmagyaróvár, we are available for our customers also in Mosonszolnok. From 2011, in order to facilitate daily administrative tasks, we use the SAP integrated business management system. Romer measuring arm with touch-probe and laser scanner head for the site at Mosonmagyaróvár. 2014: As the site at Mosonmagyaróvár became too small, the construction works of a new site were started. 2015: In July, the site operated at Pozsonyi út in Mosonmagyaróvár was moved to new office block and workshop hall constructed in Juhar utca. For the new workshop, we purchased two new HURCO machine tools, and a new FANUC wire EDM in addition to our machines. 2016In autumn, 2016 – due to the increasing of capacity and the purchase of new machines – the site of the Kft. in Pozsonyi utca has started production again. 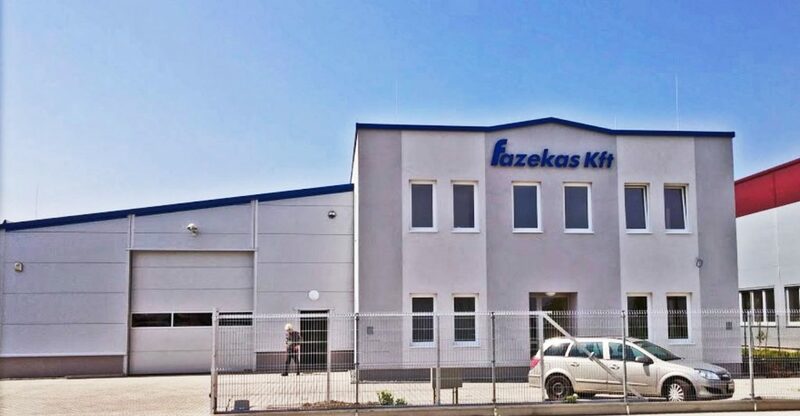 Among the plans of Fazekas Kft, we would like to purchase a new CNC controlled lathe machine and working centers to our sites in the first part of 2018.